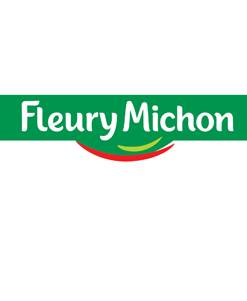 I am the Project Manager of the Research pole within the Research and Development team at Fleury Michon. I am in charge of the packaging issue and I take part in the external impact of the company concerning this theme (networking, monitoring, promoting). This work is done in close collaboration with the packaging operational unit, which establishes the roadmap for this issue while observing our company project “Helping Human Beings to Eat Better Every Day” (« Aider les Hommes à Manger Mieux Chaque Jour »). What will you remember from this experience of collective intelligence in the production of the final document? Being a group represents an asset for this type of project. Making different actors take part in the packaging value chain helps to enrich discussions and to produce a complete and relevant document, which takes into account the entirety of the packaging process. Being a group also helps us to highlight that all the actors of the packaging process share the same wish: to be an actor and a driving force in building the packaging of tomorrow, while thinking about the environmental and social considerations implied. The CNE’s workshops help the gathering of all the actors of the packaging value chain. They make the exchanges rich, give the debates a high quality and make for the production of relevant documents. The format proposed for the workshops is therefore generally satisfactory. Everyone has some time to speak and can do so with goodwill and freely, without any unsaid. The welcome and debate leadings are simple and efficient. The reports truly reflect the exchanges. The only problem for our company, which is not located in Paris, is the impossibility to participate in the workshops (at its real date) via videoconference. 3- Would you be willing to repeat the experience in a future workshop? We would, if the topic is linked to our business strategy. 4- What are the topical issues judged as priorities by Fleury Michon and that the CNE could investigate, as part of workshops or of any other communication mode (information mornings, etc. )?